Our 12 inch orange safety cones, parking cones are great for RV parks, campgrounds, parking lots, construction, or highway safety. These safety cones provide a visible barrier to direct traffic and drivers. Perfect for closing a camp spot for maintenance or reserved campsites. 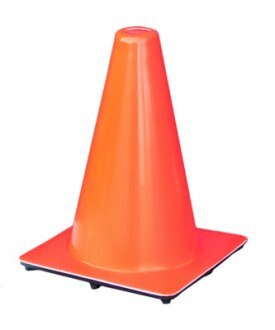 Highly visible 12 inch orange PVC cone. Go to top of this 12 inch Orange Safety Cones, Parking Cones page.